For Rods & Reels in the shop and ready for sale - use the paypal entry blocks below. I can also accept credit cards over the phone if PayPal is not an option for you. To have a rod made, repaired, rebuilt or set up a workshop please call or use the Contact form so we can talk about what you want and sort out the details. 7 foot 6 inch Hex fly rod. 5 wgt Convex taper. Blond Rod. Very smooth casting action & light in the hand due to the convex taper characteristcs. 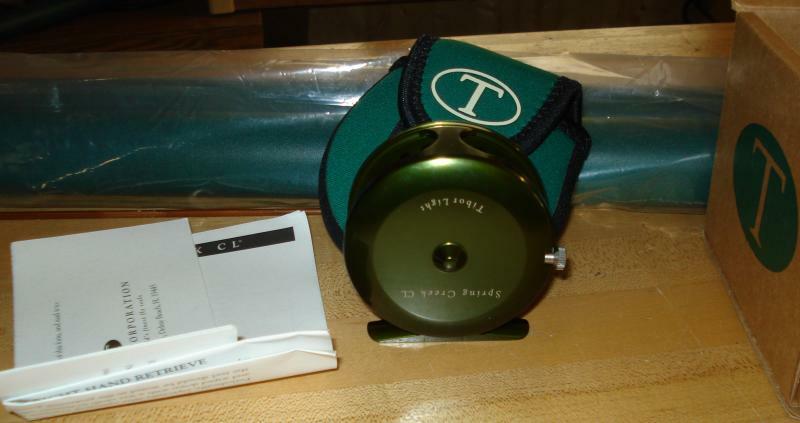 TIBOR Spring Creek Reel SOLD!! Several years old but, new in the box with documentation. Has never had a line on it. Metalic Green. Nice reel﻿. New in the box Hardy Perfect 2 7/8 LHW Reel. Made in Alnwick. Limited edition. Documentation an decals in the box. Never been lined up. 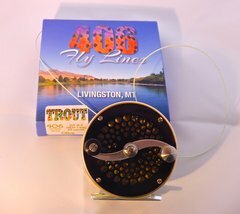 406 fly line. Traditional line designs in mordern materials tweaked and optimized for use with Bamboo and fiberglass rods. Shipping included to the lower 48. New Rods are sold subject to 3 day examination period. If rod sock & tube are returned in original shipping container in new condition full product refund will be processed. Buyer pays shipping. IF the rod is to be returned: Within 3 days of delivery call/e-mail to arrange for return. Actual shipping costs will be applied to items sent outside of lower 48, or international. Used stuff is used - unless it is not as represented in the advertisement - sales are final. All rods are shipping in Schedule 40 PVC containers - Hence the handling charge.